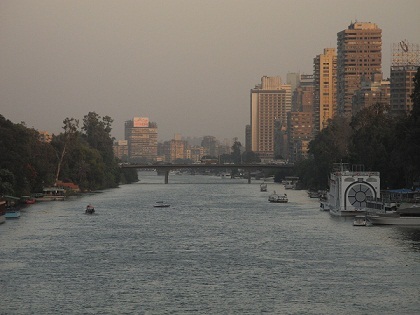 The decrease in the Nile water amount and level is normal, and has beenthe case forabout 100 years since the beginning of December until the end of January every year, said Minister of Transportation Hes- ham Arafat, on Sunday, state media reported. Last week, the Nile River wit- nessed an increase in the amount of water in the waterway around Aswan Dam, amid concerns regard- ing the construction of the Ethiopian Renaissance Dam which is expected to affect Egypt’s annual share of water. Temple, Arafat described this period of the year as when Egypt has the “lowest needs” of water, mention- ingthat the phenomenon is one of the reasons for stopping Nile boats at this time of the year, due to the shortage of water. He also added that the only way to overcome the problem of low water level is to organise the movement of Nile boats. He further explained that boats coming from North to South should wait until boats sailing in the opposite direction, from South to North, pass the waterway, to avoid concurrent passing in shallow waters. of winter storms. He said that the re- sponsibility of managing the effects of the winter storm falls under the com- petences of the Ministry of Water Re- sources and Irrigation, to maintain the canals, irrigation hooks, and stations. He added that the time following the end of the winter storm is the best time for maintenance operations as it is the time when water use de- creases in Egypt. The minister further explained that the water storm period happens concurrently with an increase in Nile navigation during the vacations, which requires coordination between Minis- tries of Irrigation and Tourism to avoid any problems related to navigation. Ultimate solution for water scarcity?